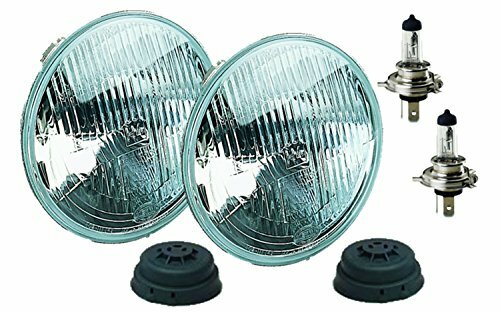 Rampage Halogen Conversion Headlight Kit includes glass lens and aluminum housing that will not melt during all weather conditions. 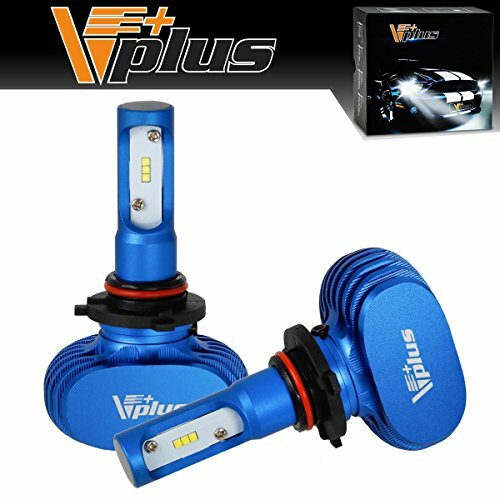 This conversion headlight kit is designed to provide more luminous low and high beam than the conventional headlights. It is made from high endurance materials. 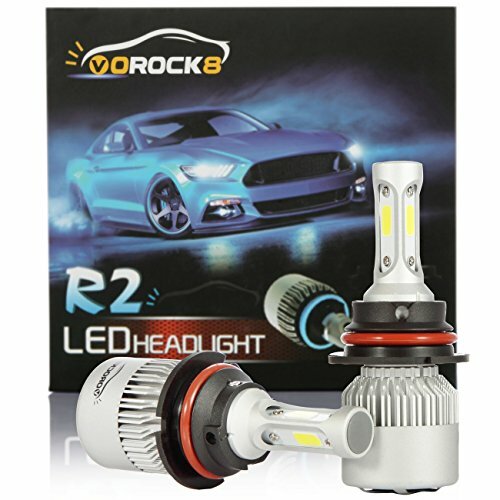 This headlight kit features clear lens and facet cut reflector that increase the illumination by 50 percent. It replaces 7-inch sealed beam lenses. 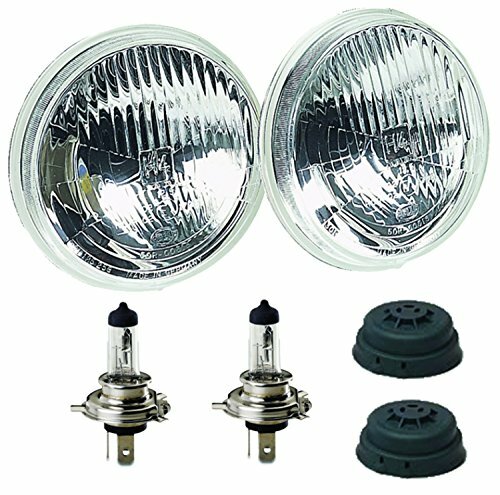 This conversion headlight kit is backed by 90 days manufacturer’s warranty. HELLA's halogen conversion headlamps replace the original sealed-beam headlamps in your classic vehicle with a modern, replaceable halogen bulb. Based on European headlamp technology, HELLA's vision plus produces a 50 percent more powerful low beam and a 25 percent more powerful high beam than standard halogen sealed beam headlamps. 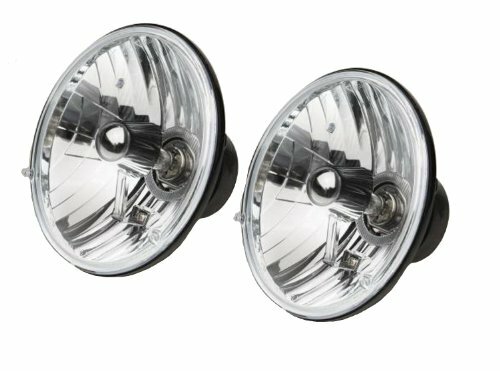 NEW PAIR - 7" CRYSTAL CLEAR HALOGEN H4 HI/LOW BEAM HEADLIGHTS PAIR - LEFT & RIGHT SIDE Includes 60/55w Halogen Light Bulbs! New PAIR of 2 Headlamps SAE/DOT Approved - Street Legal 50% Brighter than stock headlights High & Low Beam No Wiring Modification Needed - Original 3 Prong Plug Design (Plug & Play) Glass Faced / ABS Plastic Backed Semi-Sealed Beam - Removable / Replaceable Light Bulbs Replacement for stock headlights Fits cars and trucks with 7" round headlights THESE ARE 7" ROUND CRYSTAL CLEAR SEMI-SEALED BEAM GLASS FACED HALOGEN HEADLIGHTS! 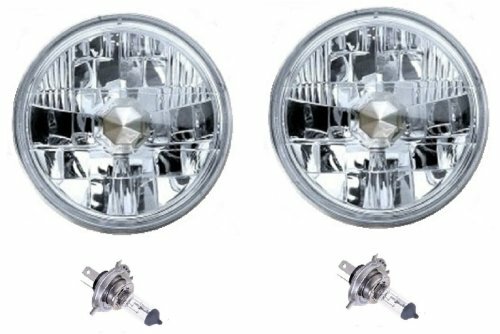 THIS LISTING IS FOR A NEW PAIR (2 bulbs) OF 7" 12 VOLT HIGH/LOW BEAM CRYSTAL CLEAR SEALED BEAM HALOGEN HEADLIGHTS, INCLUDES BULBS (60/55W). THESE ARE GLASS FACED HEADLIGHTS. THESE HEADLIGHTS HAVE A DOMED CLEAR GLASS FACE UNLIKE ALL ALL THE OTHERS ON THE MARKET THAT HAVE A FLAT PLASTIC FACE. 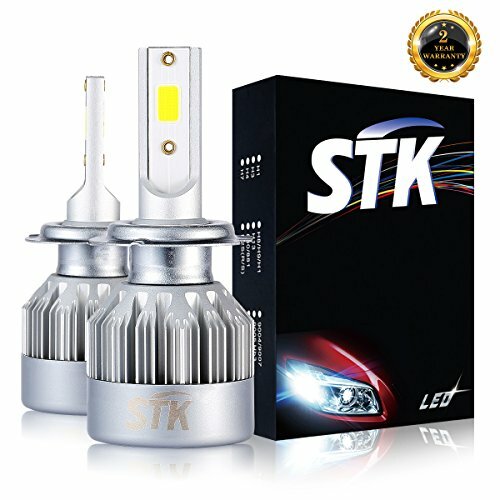 THESE LIGHT UP 50% BRIGHTER THAN THE STANDARD STOCK STYLE INCANDESCENT HEADLIGHT BULBS. THESE HAVE THE ORIGINAL 3 PRONG PLUG DESIGN ON THE BACK SO THEY WILL PLUG RIGHT INTO THE ORIGINAL WIRING HARNESS (NO WIRING MODIFICATION NEEDED). 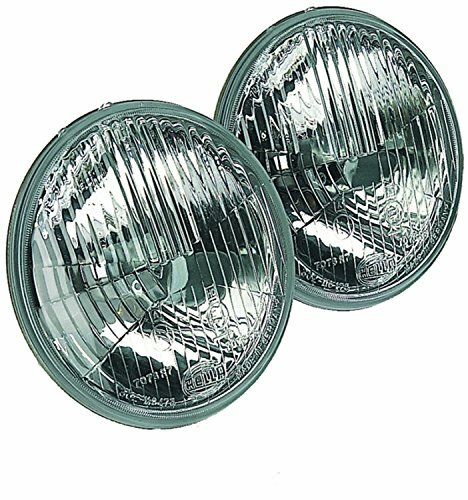 THESE WILL FIT ANY CAR OR TRUCK THAT HAS 2 ROUND GLASS HEADLIGHTS THAT ARE 7 INCHES IN DIAMETER. THESE ARE GLASS AND WE WILL TAKE EXTRA CARE IN PACKAGING. SAE & DOT APPROVED. Delivering powerful lighting without increasing glare to on-coming traffic, an advanced H4 halogen bulb and high-sheen metal reflector are combined with advanced optics to provide a more uniform, controlled, and even illumination on the road. These lamps produce a 50 percent more powerful low beam and a 25 percent more powerful high beam than standard halogen sealed beam headlamps. This produces a greater range of vision for the driver, improves driver safety and reduces driver strain and fatigue. And the replaceable-bulb design saves money - no need to replace the entire unit if a bulb goes. Delivering powerful lighting at the maximum limit without increasing glare to on-coming traffic, an advanced H1 halogen bulb and high-sheen metal reflector are combined with advanced optics to provide a more uniform, controlled, and even illumination on the road. 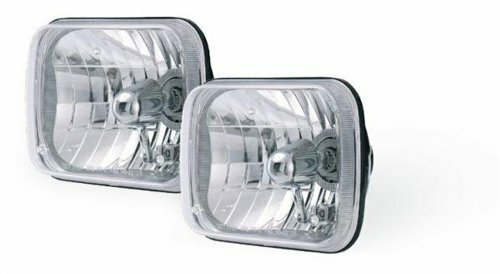 These lamps produce a 50 percent more powerful low beam and a 25 percent more powerful high beam than standard halogen sealed beam headlamps. This produces a greater range of vision for the driver, improves driver safety and reduces driver strain and fatigue. And the replaceable-bulb design saves money - no need to replace the entire unit if a bulb goes.